Playing with my new Color Muse – this little item is awesome! 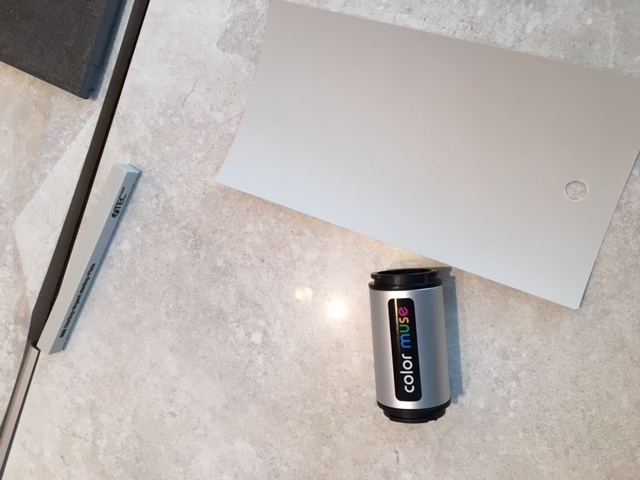 It uses LED light to scan any material/color and then via an app – it will list out color matches based on the materials Color Muse has loaded so far – many paint manufacturers, flooring, textiles, etc. I am going to have so much fun with this!